AUTO DIRECT #1 RATED DEALERSHIP FINANCING AVAIL. 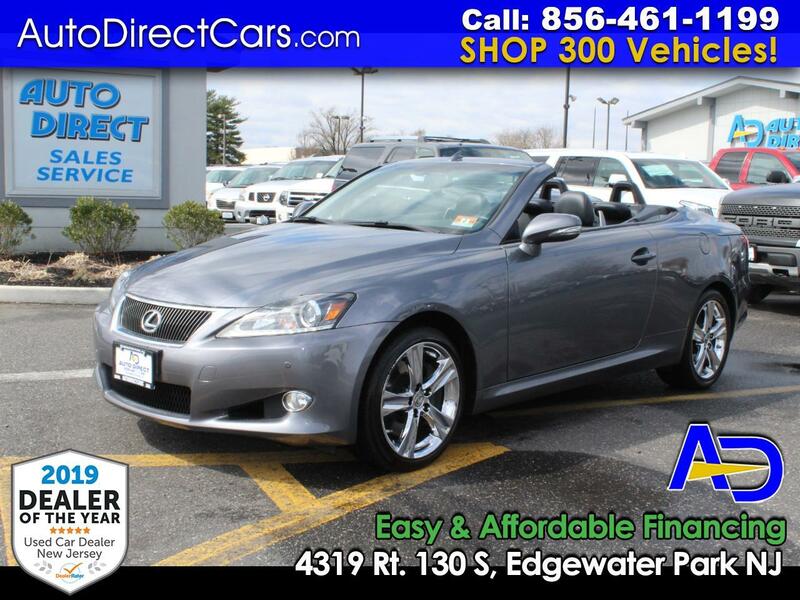 23K MILES LEXUS IS 350C CONVERTIBLE LOADED! ****EXTREMELY RARE FIND 23,645 CERTIFIED MILES PREMIUM LOADED 2013 LEXUS IS 350C WITH PADDLE SHIFTERS & NAVIGATION V6 AUTOMATIC 2-DR CONVERTIBLE. CAR FAX CERTIFIED. THIS VEHICLE IS IN IMMACULATE CONDITION INSIDE AND OUT, RUNS AND DRIVES PERFECT. LOADED WITH ALL FACTORY OPTIONS FEATURING PADDLE SHIFTERS, NAVIGATION, HEATED/ COOLED SEATS, BACK UP CAMERA, BACK UP SENSORS, CHROME WHEELS AND MORE. PRE-QUALIFIED EASY AND AFFORDABLE FINANCING AVAILABLE. TRADE INS WELCOME. STOP BY & VISIT OUR HUGE INDOOR SHOWROOM. Message: Thought you might be interested in this 2013 Lexus IS 350C. FINANCE PAYMENTS BASED ON BANK APPROVED TIER 1 CREDIT. CUSTOMER IS RESPONSIBLE TO PAY ALL APPLICABLE STATE SALES TAX, REGISTRATION FEES, TITLE AND DOCUMENTATION FEES. DEALERSHIP NOT RESPONSIBLE FOR TYPOGRAPHICAL ERRORS. PLEASE CALL FOR PRICING AND AVAILABILITY. Auto Direct Sells Cream Puffs!